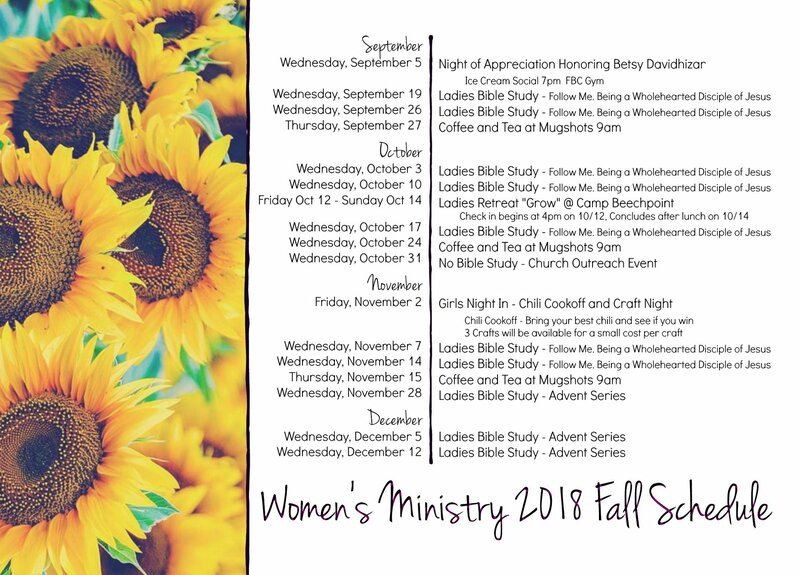 Through the study of God’s Word, intimate fellowship of Growth Groups and fun fellowship events, First Baptist Church’s’ women’s ministry offers many opportunities which are specifically designed to help women grow in Christ and in their relationships with each other. We welcome you to join in any ministry that will help you connect with God and with other women! Keep in touch with everything going on with First Baptist Church's Women's Ministries!